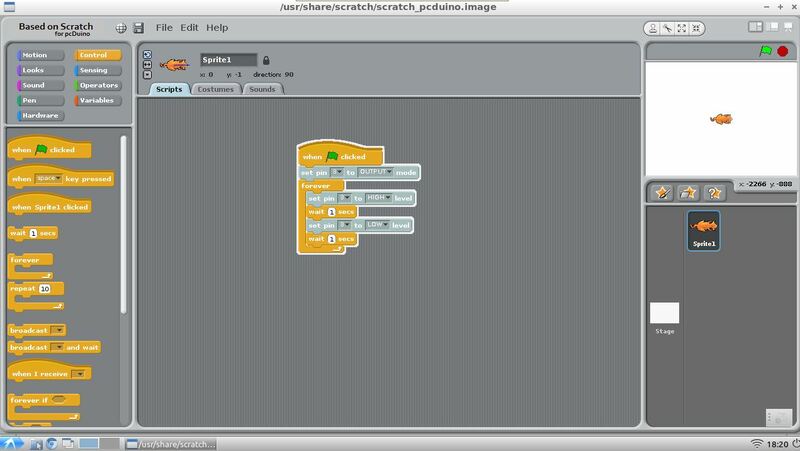 This post begins our serial tutorial on how to use pcDuino scratch. In this tutorial, we are going to see how to blink LED on pcDuino using Scratch. 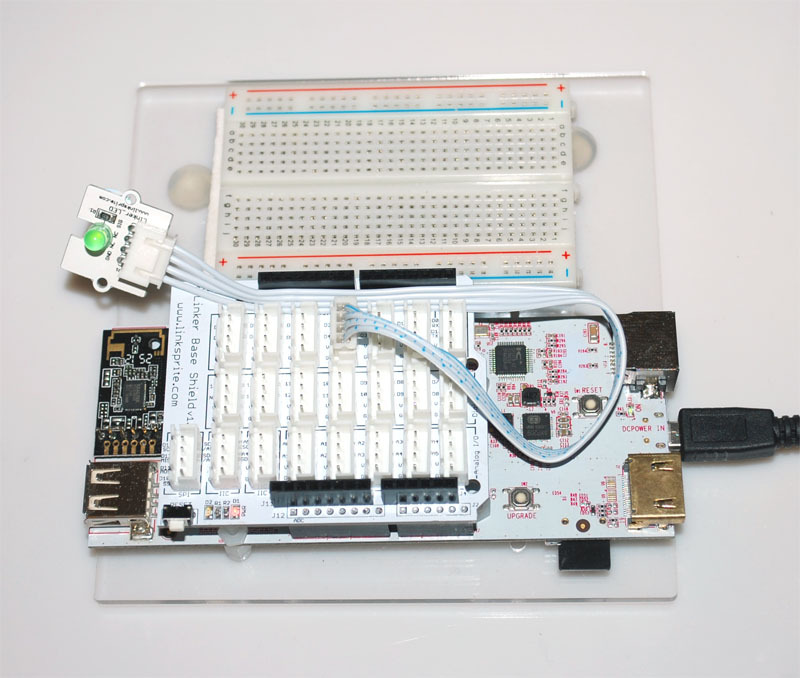 We install the Linker base shield onto pcDuino and connect LED module to D3 of pcDuino. Click the little green flag, we will observe the LED is blinking. Horay!